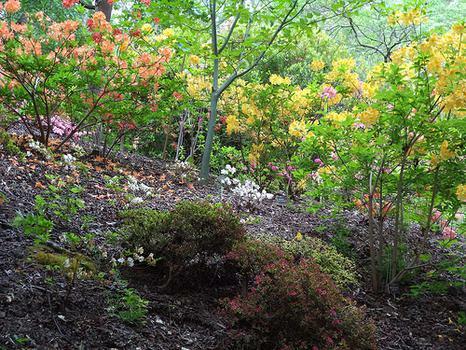 The crescent-shaped Mount Lofty Botanic Garden in the Adelaide Hills has native Australian flora as well as exotic cultivated plants from cooler climates. The crescent-shaped Mount Lofty Botanic Garden in the Adelaide Hills has native Australian flora as well as exotic cultivated plants from cooler climates. Highlights include the range of Australian ferns, rose garden, magnolias, rhododendrons, camellias and sculptures such as the Guardian Figure by Greg Johns.